Mark on Happy Birthday, Faye! Click here for the archives of the long shots in this sidebar. Post a birthday greeting to Faye! 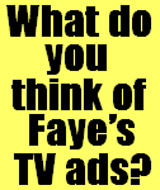 Click here to participate in this survey: Have you ever been to a live Faye concert? Do you believe rumors that Faye and LYP are divorcing? Survey: New Album in 2009? 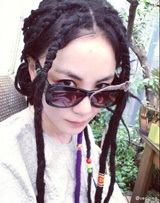 Will Faye Wong release a new album in 2009? Was LYP justified in attacking the reporter?" Netease reports that Faye may make an appearance at Zhang's Dec 20 concert. Click here for the story. Update: It appears unlikely that Faye will attend or participate in this concert -- but we can hope. 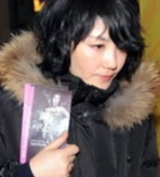 Faye in Tibet on 27 Nov 2008! 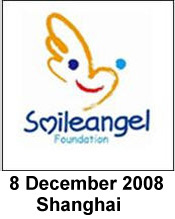 Xinhua (11.15.08) reports that Faye and LYP will be in Tibet on Nov 27 to participate in Yan Ran (Smile Angel) activities for Tibetan children. They'll be traveling from Beijing to Chengdu to Lhasa. Expect the usual avalanche of media coverage. Songs You’d Like Faye to Sing in Her 2010 Concerts? 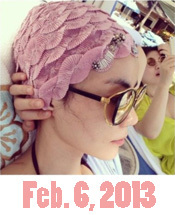 On 27 April 2008, Faye Wong Today (FWT) published its first article, Will Faye Wong Return? Today, nearly two years later, the answer is a resounding YES! To celebrate FWT’s 2nd anniversary on the 27th, please share your thoughts on the songs that you would like her to sing in her October and November concerts. Perhaps one to five songs that you hope she will include? With a brief explanation for each choice? 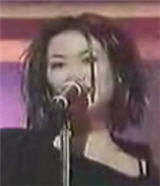 [Added 4.14.10]] Or even the entire concert program, with all the songs, as y.A.S.d. has done — see his comment. Add your selections in a comment to this post between now and the 26th, and I’ll gather and post them on the 27th in a FWT anniversary article. 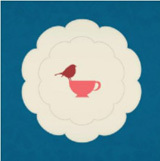 [Added 4.17.10] Click here to add your suggestions for Faye’s costumes, hairdo, makeup, shoes, etc. In the final song Wo Yuan Yi she will be in front of a band and the whole orchestra (which is enlighted all) with a beautiful gown singing that song passionately on a high platform with some. When the song ends after the last vocals, there will be a big outro in Wo Yuan Yi music and the platform goes down after her bow with stuff falling down the ceiling and fire effects… and the curtains will close after the last note. Wow, y.A.S.d., if Faye follows this script, she’d have to add many more performances in larger arenas and in many more cities — and extend the tour into 2011! Are the new songs in English? 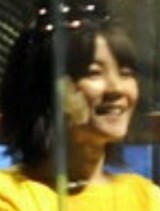 Or are you thinking new compositions especially by or for Faye? I really like the way you’ve described the closing song and the large number of costume changes! I’m praying that they’ll record one of the concerts and create a CD and a DVD. It’d be great if this could be done in the Hong Kong Coliseum on Christmas Eve or New Year’s Eve — but they’d have to extend the tour to HK. Raymond, yeah! A “Legend” opening similar to the one in the Spring Festival program would be wild! “Thank You for Hearing Me,” Faye’s cover of Sinead O’Connor’s hit, is moving. It would also make a powerful closing. Terrific list, Yan Kiat! You’ve spotlighted some of my favorite albums. It would be really cool if the concerts focused on all the songs she wrote and/or composed! Chelsea, you’ve listed a number of great songs that aren’t usually in her concerts! Your list of exclusions is very interesting. I still like “Dream Person” a lot, but I, too, would like to see it replaced by other songs that we don’t hear as often. Raymond, I see you’ve included Jacky Cheung as a guest. That would be really cool. There’s also Na Ying and Jeff Chang from her Good Friends Concert, and Tony Leung and Carina, who’ve appeared with Faye in the past. 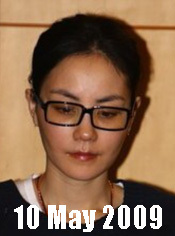 We can’t forget Vicki Zhao, too. 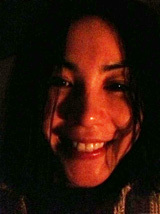 I can see how a Good Friends Concert II with all of her close friends above, including Sandy Lam and Sally Yeh, would be hugely successful! you want her to sing cold war twice? 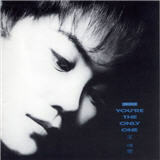 [Added 4.16.10] Bu Bian (Amaranthine) – quite possibly one of my favorite Faye songs ever, this song inspired me a lot many many years ago. Fayenatic, great choices! I love these songs, too. Restless has to be Faye’s most creative album. She composed 7 of the 10 songs! Bu Bian (Amaranthine) – quite possibly one of my favorite Faye songs ever, this song inspired me a lot many many years ago. Can You Hold Me Tight? Band music, stage design, opening and ending similar to Scenic Tour. Dan, I like the thoughtful way you’ve set up this program. Faye is always concerned about satisfying her fans, and medleys are a way to get a lot of songs into the concert. Also, every segment includes some super big hits so there’s no slowdown throughout. Faye opened Scenic Tour with “Emotional Life” and Live! with “Sky,” and I like your choice of the two for the first segment. I really like “Emotional Life” as the opener because it rocks — especially with a great drummer! 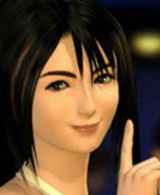 It’ll probably never happen, but wouldn’t it be great if Dou Wei made a special appearance in this song? If my count is correct, you’re suggesting 6 costume changes! Alright! Faye’s concerts are about her costumes, too, and the more changes the better! In fact, I’ll set up a second post in the next few hours on what fayenatics would like to see Faye wear in the concerts — costumes, makeup, hairdo, shoes, etc. Well i think since this is Shanghai…..no possiblity for Canton songs. So i need to pulll out some of the canton songs. Meantime Cold war have mandarin and canton version. I wouldn’t hope too much for new songs, though. Lately, it seems hard for artists to really be inspired (something to do with the collective-conscious I think). I would rather wait for Faye to create something really special. I personally did not not like the Legend song at all… sorry. Faye’s voice was still beautiful, though! Away, great list. I especially like your comments. I really like “Those Flowers,” too, but the versions I’ve heard are poorly recorded. A studio version or a professional live recording from her concert would be nice. I feel the same about “Legend.” It doesn’t knock me off my feet. It sounds, maybe, too much like a Buddhist sutra. 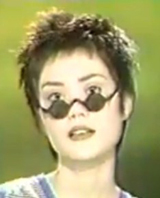 I have nothing against Faye’s spiritual songs, but I like her pop, rock, folk, alternative, R&B better. Interesting thought about why the vacuum in creative new songs. It does seem as though there’s a collective consciousness among song writers. When the spirit strikes, the songs come in waves. 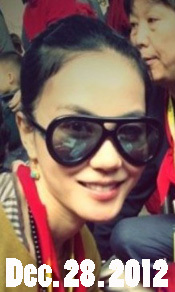 Faye is just the person to generate a new wave of creativity in the Chinese music scene. 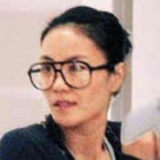 For that kind of magic to occur, though, I think she needs to sit down in a studio with some of her former creative partners such as Zhang Yadong and Dou Wei or even Nic Tse. oh, and 我愛你 [I Love You]. I’d love to hear her sing it live. A Zhang Yadong Medley would be cool. Come to think of it, I don’t think I’ve ever seen a video of Faye singing “I Love You.” She’s had a lot of hits with ZYD! 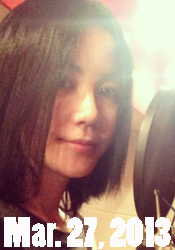 I wish Faye wong sings these songs! I’d be very happy to attend a concert with Raymond Chua’s or Fayenatic’s selections. Plenty of rock/pop numbers, not mostly ballads; especially Hypnotise and anything by Zhang Yadong. Plus of course a good number of Faye’s own songs, particularly Imagine from the Restless album, or the song cycle (tracks 1-5) from Fable. Although I’m English, none of Faye’s cover versions of English songs are my favourites. What I’d love to hear most of all is Faye covering some of Sa Dingding’s songs, esp. Wanwu Sheng 万物生 and Qin Shang 琴伤. (Check them on Youtube if you don’t know them.) Sa Dingding’s composition plus Faye’s voice, wow! Moved to . 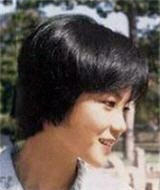 . .
‘Know Oneself and Each Other’ – Song of the 2nd Quarter Award 1994. Those Flowers - A Mystery? 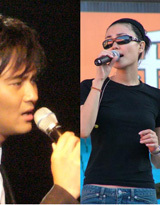 Faye & Chilam, "Heart Sutra"
Lists of all-time favorite Faye songs, concerts, MVs, etc. 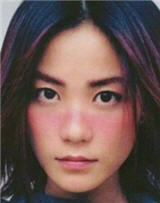 to celebrate the 1st anniversary of Faye Wong Today on 27 April 2009. Songs for Faye’s 2010 Concerts? 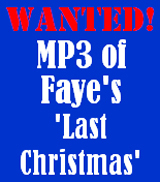 What songs would you like Faye to sing in her upcoming concerts? 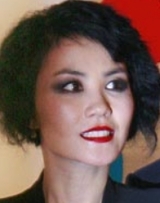 Click here to add your choices, which will be published on April 27 in a special feature article for the second anniversary of Faye Wong Today. Costumes for Faye’s 2010 Concerts? 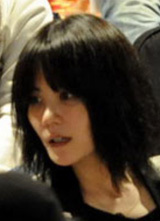 Click here to add your suggestions, which will be published on April 27 in a special feature article for the second anniversary of Faye Wong Today.